Brandywine Ballet’s The Nutcracker (Dec. 11-20) is firmly rooted in the magnificent splendor of the Victorian Era during Act I, transporting audiences to the enchanted Land of Sweets in Act II. Join Clara’s journey full of imagination, in which Toy Soldiers and Mice ballet fiercely, the Sugar Plum Fairy reigns, and an all ages cast of over 80 dancers and actors create pure balletic magic. The Nutcracker, a long running tradition in Chester County and across the country, is sure to delight. 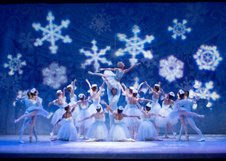 The Nutcracker Student/Family Matinee dates December 11th & 17th. Both performances are at 10 am. 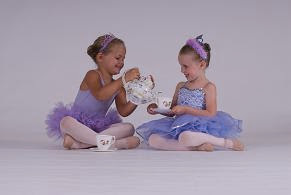 Interested teachers,home school moms or groups should contact The Brandywine Ballet office directly at 610-692-6402. Specially discounted tickets for student field trip groups (one complimentary ticket for every 15 students) are also available directly through the box office. 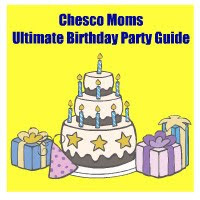 Enjoy sandwiches, cookies, favors and more! Click here for more info or to purchase tickets. We would like to start a Nutcracker tradition for two lucky Chester County families, so we are giving away a family 4 pack of tickets to the performance on Fri, Dec. 12, at 2:00PM a family 4 pack to the show on Sun, Dec. 20th at 6:00PM.